Hi all! Today I wanna present you my small addon. It adds Bosnia to YKSRSK. 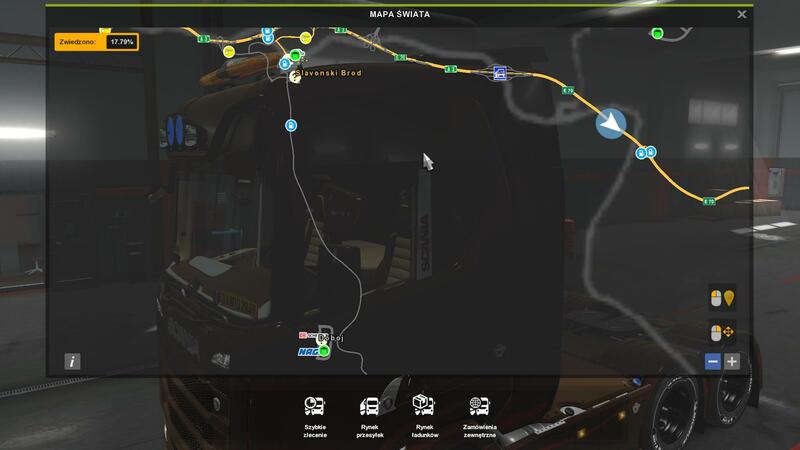 To run it u need to have Promods, RoEx and YKSRSK. I copied that terrains from RoEx 1.6 files, so it have bad quality, but anyway we have Sarajevo and Doboj. Last edited by Dawid2849 on April 10th, 2019, 11:47 pm, edited 5 times in total. It was doned in the hurry because my plans excluded that area initialy and i dont want to include it now because it hs this Promods dependency. But, go ahead, go crazy with it, unless Promods are gonna ruin your plans in that area. The road between Doboj and Slavonski Brod is not there is this fixed in the next version? Last edited by PerrydPelle on March 27th, 2019, 11:46 pm, edited 1 time in total. I was expecting something rather like "Why did you do it? A waste of time! ", So thanks for the nice post! Probably not, in the next version, I will rather add cities in Bosnia. At most then I will improve this road. I think a bug that prevents you from going to this area is more important than two cities. After some testing, I found out that my load order is wrong. Sorry for the wrong information! Why? Because of my comments on your ideea with Project Balkans? That was a distructive one, this is a constructive one, so i will be happy to add this to my playing profile. But it's just a road with a gas station, make some magic there and if you can expand Sarajevo a little, it looks big, but it has 2-3 active streets. I mean, com'on, is Sarajevo, a BIG city. That can't be Project Balkans, because we can see RoEx! Name of that post is "YKS Turkey 4.5.1 1.31" (or something like that), so that can't be PB. 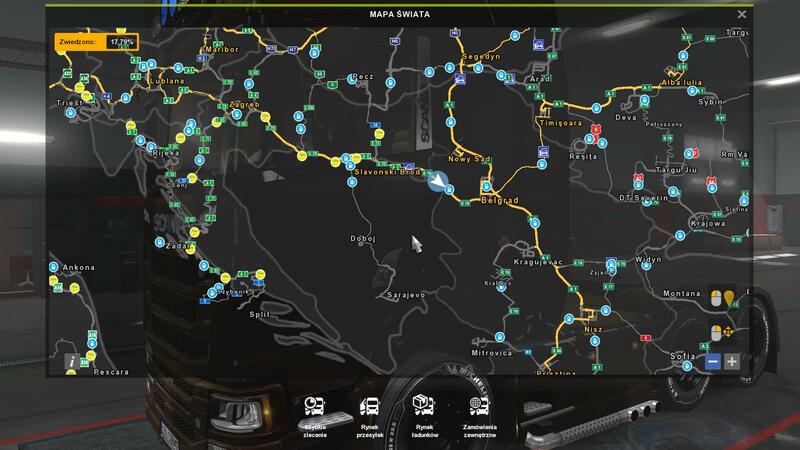 @Dawid2849 I have come across two real bug, all ProMods countries no longer have a country ID and the license plates on AI vehicles in Bosnia come from Azerbaijan.